What is blockchain? What does it have to do with money, AI, and security? Generation UK intern Jamie provides the latest insight into Shenzhen’s rising technologies. 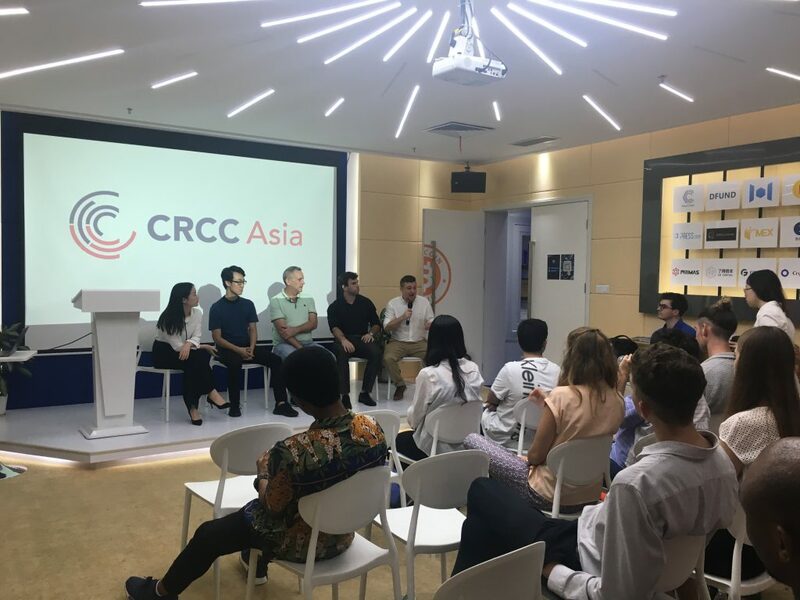 For September, the focus of our CRCC Asia business seminar was blockchain, where we attended a seminar at the Blockchain R&D center in Shenzhen. The center aims to bring blockchain technology into real world application – Allowing people like you and me to benefit from its use. The seminar consisted of four speakers with different experience in the industry sharing their knowledge and experiences of blockchain and how as a technology it can change the future of business. But what is blockchain? This was the basis of the first talk by Geoff Schofield from BlockMOV. Suitably titled, ‘Basics of Blockchain’, Geoff briefly covered the history of money and the basic principles and technologies behind blockchain. Blockchain is a brand-new way of transmitting money (or any data of value) without the need for traditional banking (or other third-party) networks, as well as a means to store data in a transparent and unalterable way. The talk was clear and gave a direct understanding of blockchain technology from an economic perspective. Moreover, a talk by CTO of the center Andrew Lashenske built on this idea of the economic potential of blockchain (in the financial) as well as exploring its wider application within hardware, (as Shenzhen is commonly dubbed ‘the Silicon Valley of hardware’). Specifically, smart watches that would earn you fungible ‘tokens’ through exercise and an ATM that exchanges digital assets to traditional fiat currency. Moreover, the talk extended to the use of AI, ‘disruption’ surveys as well as using blockchain for high security convenience, combatting fraud, building community and protection of rights. With a lot of volatile press surrounding the use of cryptocurrencies (Bitcoin usually the front name), it is clear that the speakers are looking for long term sustainability for blockchain development – skipping past trends to envision more responsible models for blockchain application. Richard Li from Luxsens, gave a charismatic talk about a blockchain system that can provide trustable transactions for luxury goods – such as designer fashion. No more worries about fake Gucci. After the main body of talks were finished, a Q&A session took place. 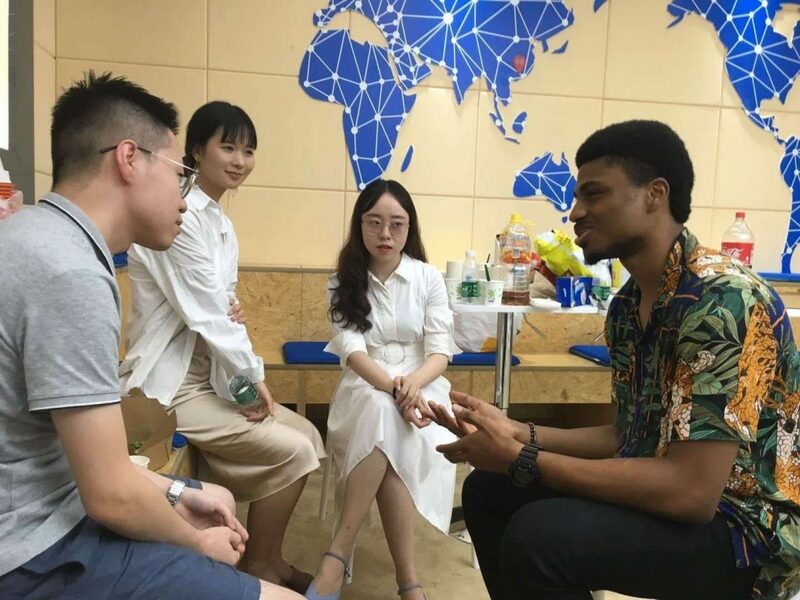 Discussing, among other topics, the current status of blockchain technology, application scenarios, the exchange of economics and the future of professional work. The atmosphere was engaging and went far over the scheduled time through an unending amount of questions around payment, supply chain, finance, future development and even philanthropy. 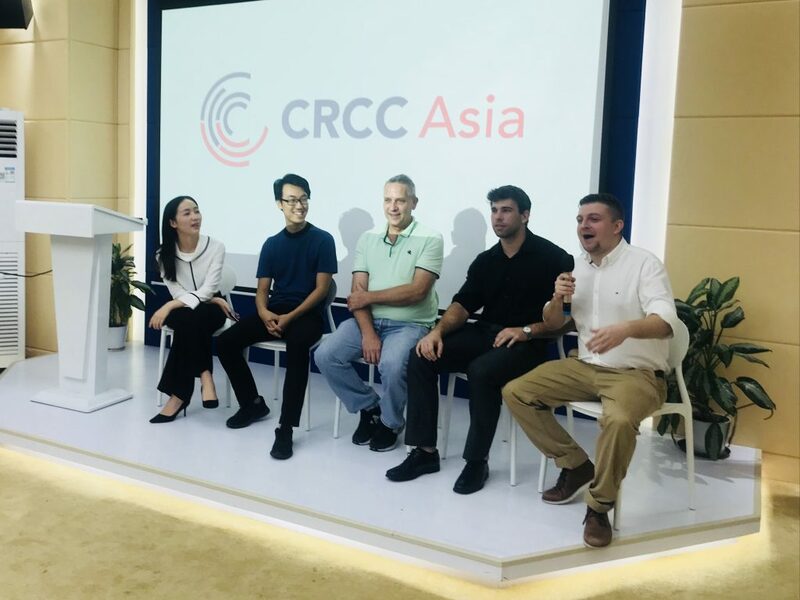 With a few of us from CRCC Asia personally having an on-going interest in the applications of blockchain, and some even interning in the field itself, it was made clear that the technology has to overcome much hype (primarily coming from the developing cryptocurrency market) in order to develop into maturity and reach its potential as a societal catalyst. The Blockchain R&D centre shows that some fantastic minds are working in the direction of achieving just this. 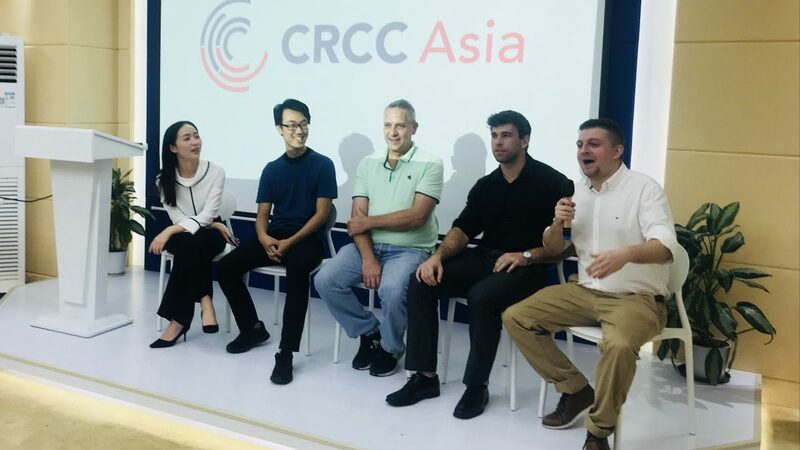 The seminar not only gave us interns at CRCC Asia an insight to a new wave in technology, but also opened our minds to a much broader understanding of the possible applications to blockchain for radical and incremental change in our day to day lives. 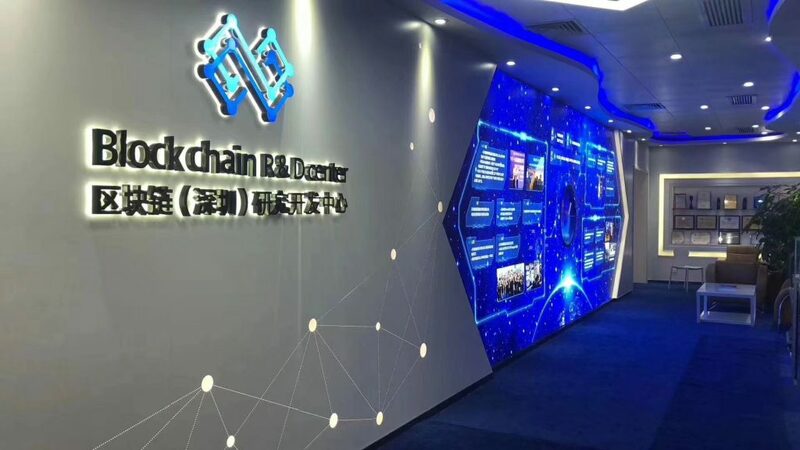 With this, it’s truly incredible to begin to understand how Shenzhen is positioning itself to provide the next generation of technological innovation. It makes me extremely glad to have chosen Shenzhen as the location to take the Generation UK program and also extremely optimistic to experience the opportunities and personal development that Shenzhen offers as a city. We’d like to thank the R&D Center for hosting us and we are very much looking forward to our next China Business Seminar. Plus, if you are interested in the Generation UK scheme provided by the British Council, you can learn more here.